Fluid processing professionals searching for cost-effective engine driven pump equipment are sure to find exceptional ANSI pump models and replacement parts to meet nearly any processing facility requirement in the Centrifugal Pump Line from Phantom Pumps. Phantom Pumps is the manufacturer in the industry known for producing low-cost alternatives to pumps manufactured by All-Prime Pumps, ESCO Pumps, Warman, Gorman-Rupp and other well respected manufacturers. Organizations are able to quickly and easily substitute PL and PH Series cost effective pumps from Phantom Pumps at their processing operations for many worn out or broken high-priced compatible Gorman-Rupp portable engine driven T Series and U Series solids handling models. 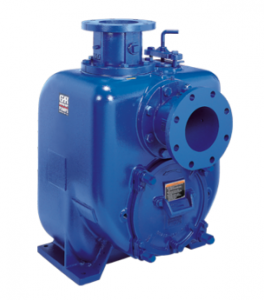 Our pumps are also exceptional replacements for All Prime Pumps S Series and I Series base mounted pump equipment and ESCO Pumps LP and HP Series pumps. Facilities typically report reduced equipment and service related costs after introducing our pumps onto their processing lines and utilizing our replacement parts for equipment repair and maintenance. Processors also usually notice an increase and improvement in their operation productivity. Contact a pump specialist at Phantom Pumps today to request more information, obtain free ANSI pump quotes or receive assistance with the selection of the engine driven pump in our line that bests matches the current equipment and processing requirements at your processing facilities in Florida, Georgia, Alabama, Ohio, North Carolina, South Carolina and/or other states throughout the US.